African tribe women hold an important place in African tribal culture. In particular, many African tribes, such as the Hamer tribe, practice polygamy. In the Hamer tribe, one man may have as many as four wives. However, when a husband dies, his property (mainly cattle) is divided between his wives rather than distributed to his children. Some African tribes are matrilocal, that is the married couple lives with or near the family of the wife. The matrilocal residence gives more importance to African tribe women than those that are patrilocal. An example of an African matrilocal culture is the !Kung of Southern Africa. Bride service or a dowry is required in some African tribes and is a method by which the families of African tribe women exert power and receive compensation. Therefore, political power in many African tribal societies is often determined to a certain extent by the family of the African tribe women. In some African tribe cultures, membership in a particular clan is inherited matrilineally, that is through the lineage of African tribe women rather than men. 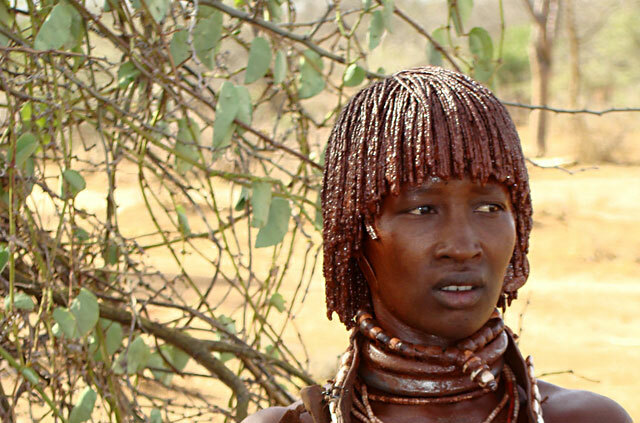 The Tuareq tribe from Northern Africa is an example of a matrilineal African tribe in which one's lineage is traced via the mother rather than the father.